192 lined pages. Gold foil pattern. Embossed. 7.25" wide by 9" high. Bookbound. Hardcover books lie flat for ease of use. Acid-free, archival paper. 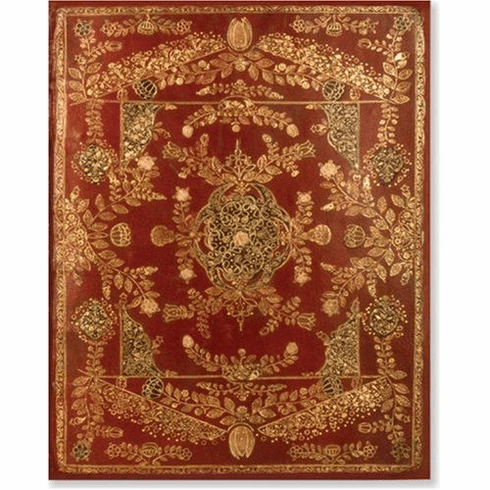 The design of a 17th century Bible enhances this journal and inspires your enlightenment.